Since the last colored smoke session I have been itching to do another one. I really love the effects of the smoke in a fashion setting. 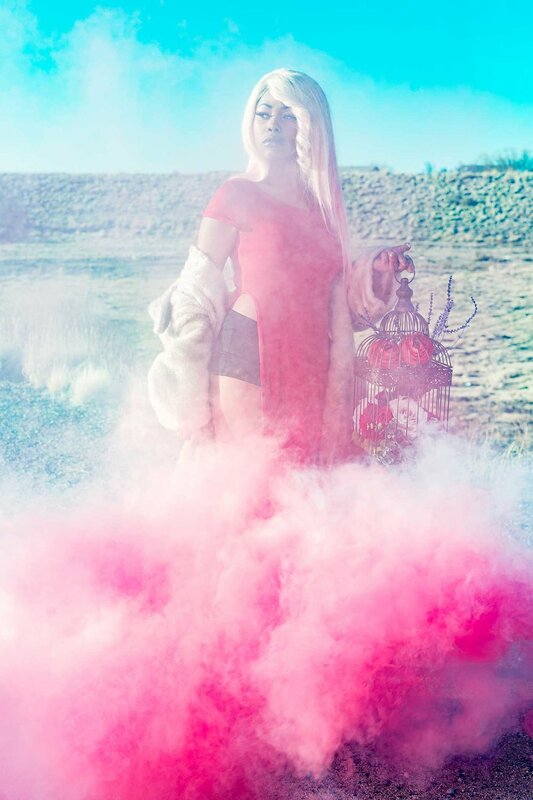 I was excited when Tenaee said she was interested in doing a colored smoke shoot. The only thing that would have made this shoot better is if there has been some snow on the ground. Where has all the snow been this winter? This was out last shoot together as Tenaee moves out in East in persuit of her dreams. Good luck on your new adventure Tenaee! I know you will knock them dead on the East Coast!